STDU Extractor is simple software for extracting images or illustrations from PDF, WWF, XPS, MOBI, AZW and FB2 documents to image files. You can preview all images from a source document, and select only those illustrations which you need to extract. 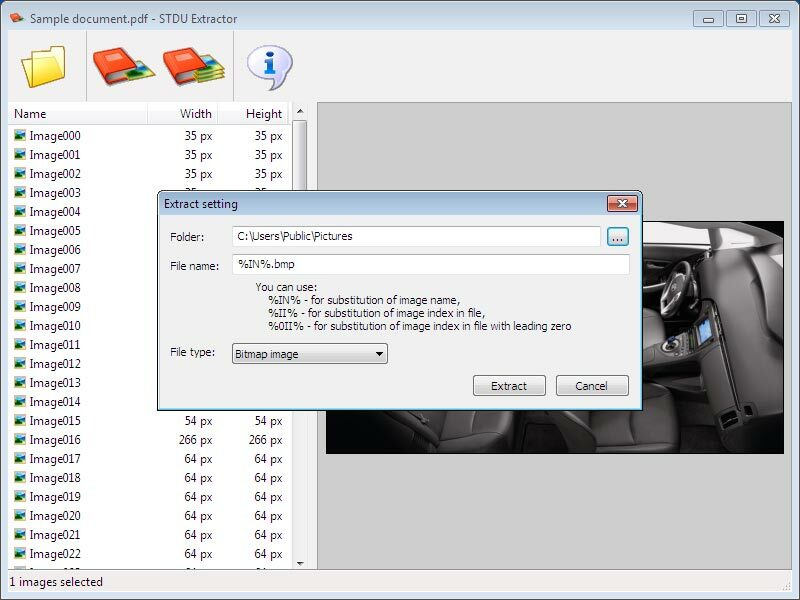 STDU Extractor can save pictures in various image format (bmp, gif, png, jpg). 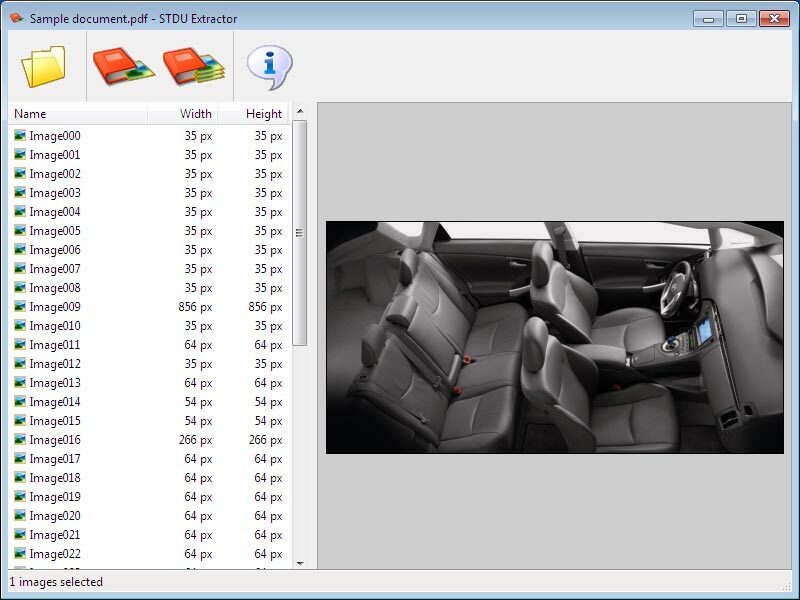 STDU Extractor extracts source images in original resolution, without losing any quality.